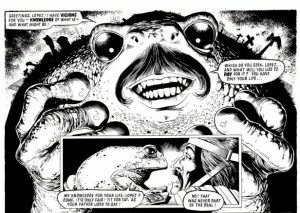 Elizabeth Coody is back with her second guest post for Comics Academe! 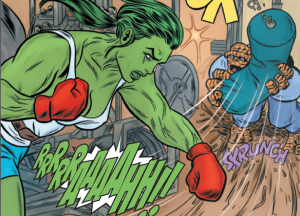 Pitching and drafting this before the Goyer commentary made waves, Elizabeth’s looking at She-Hulk from the perspective that makes most sense to her. Find Elizabeth’s previous Comics Academe entry Christianity, Comics, and the Classroom here, and enjoy the applied fandom below! One of my favorite webcomics is by fellow Michiganian, Jim Anderson: the all-age-friendly Ellie on Planet X. The colors are rich, gorgeous, and minimalist all at once. The storyline is unique and funny. The dialogue is perfecto. I was thrilled to be able to interview Jim earlier this week.